Place peanuts, sugar and salt in a food processor. Blend at regular speed until peanuts are finely chopped and starting to stick together. Stop the motor occasionally and scrape down the sides of the container, using a rubber spatula. Continue processing until mixture liquefies and resembles the texture of thick peanut butter. Be careful not to over process or peanut butter will become too oily and runny. Stop and scrape once in a while so the motor will not overheat. 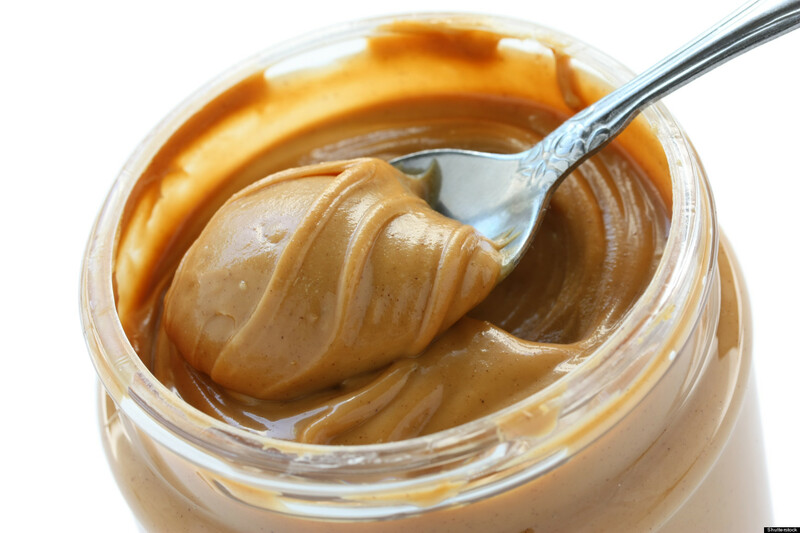 Transfer peanut butter to a clean jar and let rest. 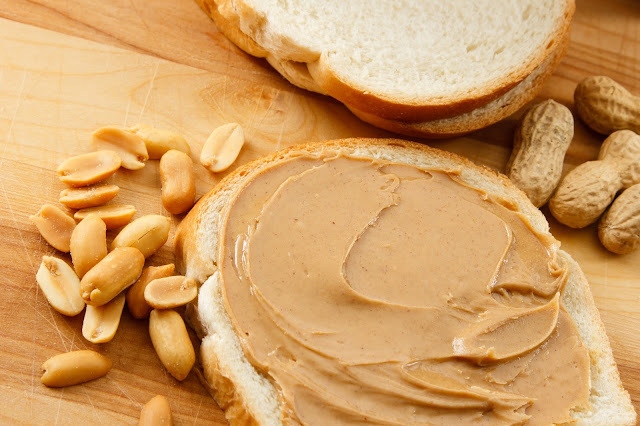 For chunky style peanut butter, add chopped peanuts. Use as spread for bread. For the cocolate stripe: place chocolate, corn syrup, and oil in a microwave safe bowl. Microwave on high for 25 seconds. Stir mixture gently with a teaspoon. Continue heating at 15 second intervals, stirring after every interval until chocolate melts and mixture is smooth. Set aside. To assemble, use a small glass jar that has been cleaned and sterilized. Pour one third of the peanut butter into the jar, leveling it with a teaspoon. Pour half of the chcolate mixture over the peanut butter, shaking the jar slightly to level the cocolate. Freeze jar for 10 minutes or until top of chocolate is firm. Pour a third of the peanut butter ove the chocolate. Pour remaining half of the chocolate and freeze again. Top with remaining peanut butter. Cover jar and store in refrigerator. Let peanut butter come to room temperature before serving. For the chocolate striped peanut butter: if you want to enjoy more of the peanut butter and less of the chocolate, reduce chocolate chips to 1/3 cup, light corn syrup to 1 ½ tablespoons and canola oil to 2 tablespoons plus ¾ teaspoon. Follow the same melting procedures. Plain toasted peanuts are available in bakery supply stores in 1 kilo, ½ kilo and ¼ kilo packages. End.